Sigrid is in a tough place. A star investigator in Oslo, she’s been cleared of any wrongdoing after a confrontation with Kosovan immigrant turned deadly—but reading the neat report that plainly states she took the appropriate course of action only disturbs Sigrid more. She’s ready for some quiet introspection on her family farm, but upon arrival it’s clear her father has other plans for her. In fact, he’s purchased her a ticket to America: her elder brother Marcus has dropped off the map in upstate New York, and she’s been dispatched, somewhat reluctantly, to find him. It doesn’t take her much time upon arrival to reach her first conclusion: America is weird. But soon she discovers more to dig into: that Marcus’s disappearance seems inextricably linked to the death of the woman he loved, an African American professor named Lydia Jones. Moreover, this conclusion—and Marcus—are now the focus of an investigation led by irreverent, cowboy-boot-wearing, utterly American local sheriff Irving Wylie. While initially their divergent investigation methods seem bound to clash, it becomes clear that they must work together: that each sees parts of the case through a glass darkly, as Wylie puts it—but by looking together, they just might be able to find answers. Derek B. Miller’s American by Day takes a suspenseful and engaging look at police brutality and race relations within the American justice system. Miller tackles this explosive topic in a refreshingly thought provoking manner. Miller is the award-winning author of several novels that include Norwegian by Night (2013) and The Girl in Green (2017). He lives in Norway with his family and has worked on international peace and security for think tanks, diplomatic missions, and the United Nations. In his novels, Miller’s characters are appealing and far from stereotypical. They suffer through all sorts of issues and definitely have passionate opinions on a wide variety of incendiary topics. Protagonist, Chief Inspector Sigrid Ødegård was first introduced to readers in Miller’s debut novel, Norwegian by Night. She and Irving Wiley provide plenty of entertaining and clever dialogue that represents opinions on individualism versus collaboration. Sigrid’s observations about America, men, and life in general are intuitive and humorous. 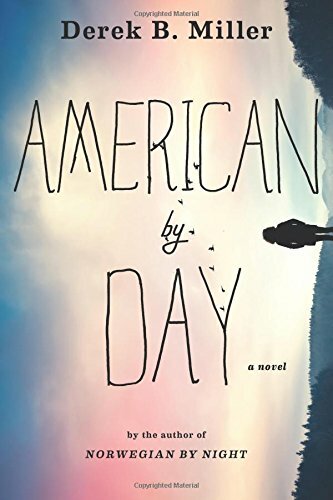 Overall, American by Day is a fascinating crime novel and the use of unorthodox characters, stinging observations, and lack of stereotypes is refreshing. A quick read and highly recommended, the plot develops into a thoughtful but grim exposé on societal challenges of inequality and the brutality of racism that are running rampant in modern America.